Here it is: the first Wednesday of my journey into Storytelling. Each Wednesday I will be bringing you four reviews from four #1s that hit shelves that day. It’s NCBD (new comic book day) for those of you that do not know, so get excited because I have some unique tales for you today! I will also shoot for four different publishers. This four new #1s each Wednesday is going to get expensive if most of them are like Long Con, which is to say that I will be adding this to my pull list when I make my way back to the shop next Wednesday. 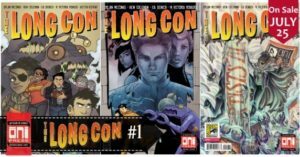 Long Con issue one is a fun intro into a world that has suffered a tremendous catastrophe, seemingly centered at a San Diego-style comic con. There are still lots of dark corners as to what exactly is going on here in issue one, but we can determine a few things: there is a site, where “Long Con 50” took place that is now the site of what we are led to believe is a con that never ended (five years ago). The con peeps seem to think the world ended, and the world-dwelling people seem to think that the con site is a barren wasteland of crazy. Our protagonist is a dude named Victor, a reporter, down on his luck, that is being sent to the site of “Long Con 50” in order to investigate what really went down. 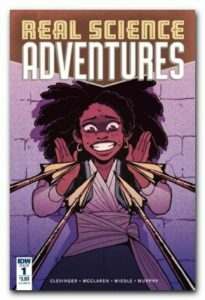 The art is fun: very similar to lots of the work from Oni Press, and the colors are bold and bright, especially when we get flashbacks to Skylarks, the Star Trek-type show in the book, heavily invading the popular culture created in the book. Maybe we’ll get a little Galaxy Quest-type actionin the future issues?? You dig sci-fi and conventions? Pick this up. Dark-realistic art fills the pages of this dark tale. Ash is a new drug, sweeping the streets. 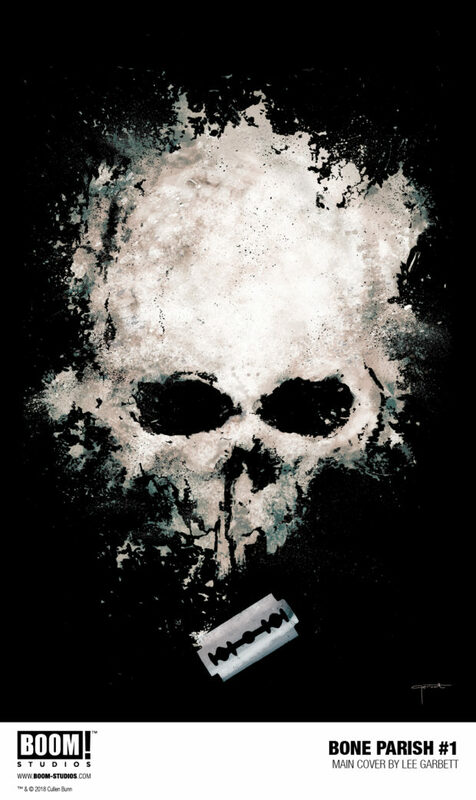 Made from the remains of people, Ash is a hallucinogenic that allows the user to experience another life, to have adventures beyond their wildest dreams. 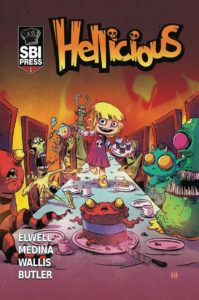 The first issue revolves around the family that has created and has been distributing the drug. It’s a complicated familial relationship that is falling in place to be interesting to watch. Looking at the issue, I thought I was looking at an issue of I Hate Fairyland from Image Comics; let’s get that elephant out in the open right away. The colors, the lines, the creepy-smiled little girl protagonist…yeah, there are some serious similarities. But the story is different. Instead of a little girl messing up a fairy tale land, we have a little girl who lives in hell with her mom and grandfather that, well, run things down in hell. She is bored. The kid wants more action and fun, so she’s can’t stop bugging her mom and grandfather for a dead human as a pet. Luckily for her, at the end of the issue, her favorite rock star slips, falls, and dies in the shower, leaving us to believe that he will end up as her pet. Well paced and written. I just wish it didn’t straight up look like an issue of I Hate Fairyland. Some good gore too…if you like that kind of stuff. Set in Constantinople in 1095 AD, Real Science Adventures follows a group of thieves as they attempt to steal back property from a man named Terazin Berikos as he attempts to become “Grand Librarian,” a title that will allow him to use stolen goods to acquire about whatever he wants from the citizens of Constantinople. The title of this issue is confusing, and the mini-intro on the inside of the front cover doesn’t shed much light onto what is happening, but the characters are familiar, and the stage is set for an awesome heist in issues to come. I’m guessing we are going to be getting some history lessons, classical political intrigue, as well as a good deal of character development as the series continues. Not much other than conversation happens in this first issue, as our main protagonist, Nicolas Fardas, sets the stage for his team of experts: The Scribe; The Soldier; The Face; The Thief; and The Mastermind. I just saw that there is a page in the back that offers up a bit of connection and context. Publishers, this needs to be in the front. I wish I had read this before the issue. I’m not familiar with Atomic Robo, so I need help. And that’s it for Wednesday one! I’ll also be giving my pick of the week from the four that I review, and that book today is Bone Parish from Boom! Studios. The Long Con was close, but I think Bone Parish will resonate with more people. Check them all out and let me know what you think!